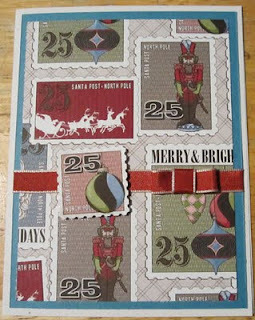 Festive Friday is a Blog Hop happening the second and fourth Friday of each month, showcasing Christmas projects. Playing around this week with a new Designer Series Paper called Letters to Santa. I created these four cards from one 12x12 sheet. I love this paper! Thank you for taking the tour this week, I hope you find some inspiration to get your holiday cardmaking going - Santa will arrive before you know it! Please continue on to BC Designs and see what Becky has created for us this time around! 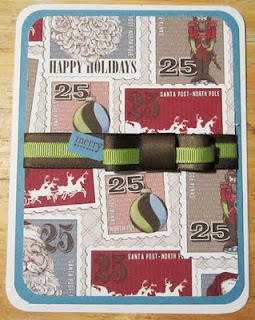 I am offering a Christmas Card Kit to pad your holiday card stash - or to get your card stash started! 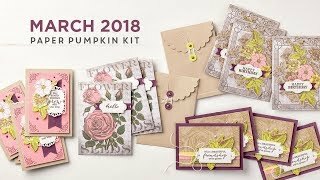 Includes all the supplies needed to assemble 12 cards and a festive card keeper box to hold them, color printed instructions and 12 envelopes. All Followers of this blog are eligible to enter to win! Please leave a comment and let me know if you have started making your holiday cards! and announced here on Monday. 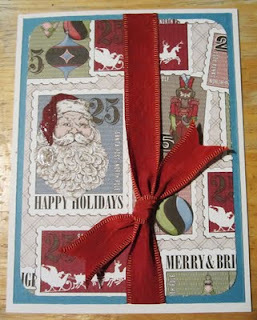 Love the ribbon techniques...thanks for sharing! your cards Really evoke the feeling of Christmas!! great work! I LOVE that paper!! great cards! Your paper is beautiful. I love how they can all be different with the various ribbon techniques. Great job. i adore postage stamps... so i really like this one.. 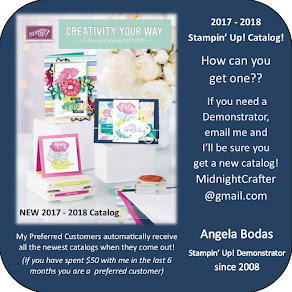 I love postage-themed cards, so I really like the ones you made, very cute! I haven't started my holiday cards yet, still thinking about several different ideas involving snowmen, snowflakes, or just abstract shapes, maybe a photo of my dog with a Santa hat on...just kidding, Odie would never sit still for that long. Anyway, I sure could use the kit ;) thanks for sharing your card ideas! Cool idea getting all those cards from a sheet of patterned paper. Love the finished product too! Thanks for the ribbon tutorial below too. Great use of media. Thanks for sharing. great paper! 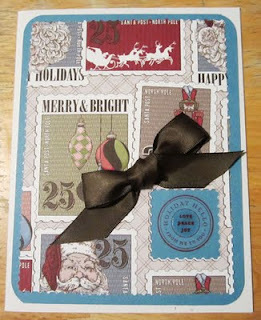 love the different look of the cards with the same paper and some ribbon. I am new to blogging and found this festive friday blog. I am enjoying everyone's ideas and hope to start my own blog soon. I have to admit I am alittle scared as I'm not sure what to do. All of your blogs are so colorful and fullof info. I love your cards and that paper!!! nope, haven't even thought about holiday cards yet. love that paper though- super cute!